Cornish environmental charity Surfers Against Sewage (SAS) is calling for new legislation to protect the UK surfing waters. 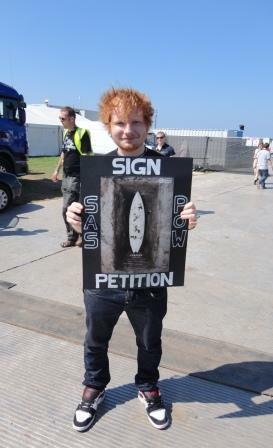 It has launched a ‘Protect our Waves’ petition, which it intends to deliver to Downing Street in summer 2013. The purpose of the campaign is to highlight the value of surfing waves and beaches, and encourage Parliament to debate legislation in order to recognise and specifically protect surfing waves as a “cultural, social, economic and environmental asset” to coastal communities. SAS director, Hugo Tagholm, explained: “Surfers Against Sewage is already working to protect a number of threatened surfing breaks around the UK and it is shocking that there is no specific law in the UK to safeguard these amazing natural resources. The campaign has already generated support among politicians, surfing industry leaders and musicians, including from music star and surfer Ben Howard, Lord Taylor, nine times European longboard champion Ben Skinner and Ben Freeston, founder of leading global surf forecast site Magicseaweed.com, which has a reach of 1.5 million unique users.